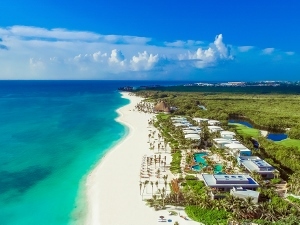 Andaz Mayakoba Resort Riviera Maya is a vacation destination featuring refreshing pools and a sun-drenched beachfront, as well as a Mayan oasis spa. The resort offers a variety of exciting outdoor activities amid the native mangroves and waterways of the complex, plus access to El Camaleón Golf Club designed by Greg Norman and the Mayakoba Tennis Centre. Venture out to explore the Mayan ruins of the Yucatan Peninsula or the scenic island of Cozumel, or unwind with a cocktail at the resort’s beachfront restaurants. The Andaz Mayakoba is approximately 45 minutes away from the Cancun Airport (CUN). AUGS strongly encourages attendees to make ground transportation reservations directly with Andaz Mayakoba. All attendees should pre-arrange transportation prior to arriving for the course. Uber and Lyft are not offered in Cancun. To make reservations through Andaz Mayakoba, please contact ariel.contreras@andaz.com. When emailing Andaz with your request, you must specify whether you would like a private transfer (solo in vehicle) or if you prefer to be grouped in a shared vehicle with other AUGS Update Course attendees. You must share your flight information with Andaz to book transportation (Airline, flight number and ETA). Please also indicate whether you prefer a private transfer (solo in vehicle) or whether you prefer to be grouped in a shared vehicle with other AUGS Update Course attendees. Andaz airport hosts wait for passengers after baggage claim and customs area holding a banner with the hotel's name and logo. Passengers should exit the main building in order to meet with them. All hosts wear a blue plaid shirt with mustard color pants. Airport hosts assist with passenger’s luggage, escorting and boarding them to vehicle. Car seats or boosters are available without cost. 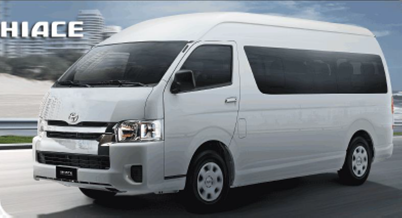 Cost per person for one way will range from $75 USD - $110 USD plus 15% service charge plus 16% taxes, depending on type of vehicle and whether private transfer is requested. The Andaz will make every effort to combine AUGS Update Course attendees with one another to reduce the pricing of transportation. Please contact Andaz for exact pricing. 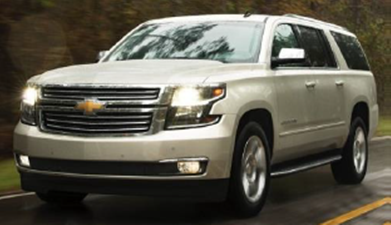 Below are vehicle options offered by Andaz Mayakoba. 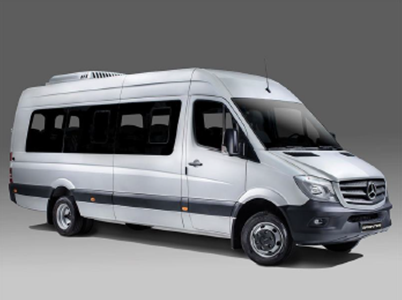 Alternative Options for Transportation are also offered directly through the Cancun Airport. Please visit https://www.cancunairport.com/transportation.html to view a list of options. If traveling from the United States to Mexico, a passport is required. Visit the US Department of State at https://travel.state.gov/content/travel/en/passports.html to apply or renew your passport. It is recommended that your passport be valid for at least 6 months. ALL foreign citizens traveling to Mexico MUST fill out an Official Entry Immigration Form prior to their arrival to Mexico. You can expedite your entry into Mexico by completing a tourist card online within 30-days of travel at https://www.cancunairport.com/tourist-card.html#collapseOne. The online registration process is very convenient and straightforward and all you need is your passport, flight information, address or name of the hotel where you are staying, and a printer to print your Official Entry Tourist Card.​ The tourist card is per person including children.